We have all experienced nasal drip, that stalwart of cold and flu season, that classic symptom of so many allergies. But what if you had nasal drip without cold, flu or allergy? And what if it didn’t stop? This was the case with St. Paul’s patient Christine Stadler. When her mysterious nasal drip began, Christine, a nurse, had already been managing serious health issues. Christine has systemic lupus, a chronic disease where the body’s immune system mistakenly attacks healthy tissue, causing joint pain, stiffness and swelling. Christine is also a breast cancer survivor. Today, Christine looks back on what became a frightening and arduous health care journey, a journey that began one day in 2000 with a seemingly harmless runny nose. Christine saw her GP who said it was a sinus infection. She used the prescribed nasal spray but the drip did not stop. Next came a referral to an Ear, Nose and Throat specialist who, upon examining Christine’s nasal cavity, said he saw no sign of infection. The specialist then asked Christine if she would collect some of the fluid, which she agreed to do. Tests indicated that the fluid was not originating in Christine’s sinus. It turned out to be cerebrospinal fluid that was leaking from her brain cavity. In addition to such a dire prognosis, however, Christine’s specialist had some positive news to share with her. 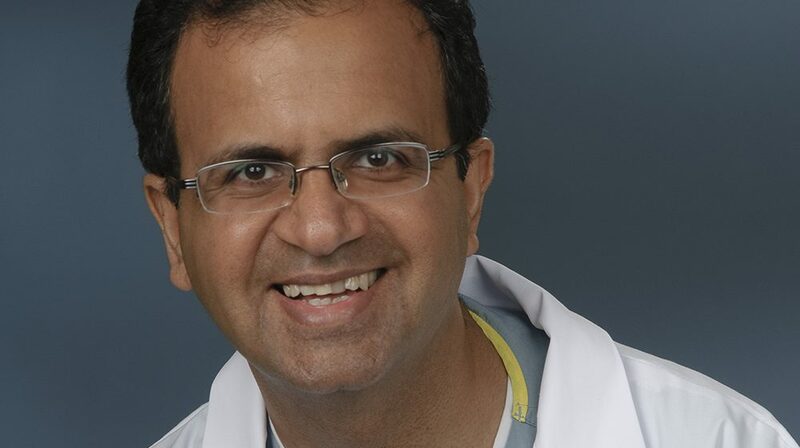 That doctor was sinus surgeon and current director of St. Paul’s Sinus Centre, Dr. Amin Javer. Christine’s surgery, however, was a complete success; and during a follow-up visit to Dr. Javer, she was able to see on a computer monitor the area of her skull base he had operated on and how well it had healed. Dr. Javer operated on Christine using the minimally invasive CASS system (Computer Assisted Sinus Surgery), which accesses the sinus by inserting a wand into the nose, instead of making an incision on the face. As the sinus is in a confined space between the eyes and beneath the brain, the computer guided precision of CASS has been revolutionary in the field of sinus surgery. The CASS used by Dr. Javer at that time, however, was borrowed. Christine had no further health issues related to her fluid leak until 16 years later, in 2016, when—to her disbelief—the nasal drip returned. As many of us will do, even when we sense something may be wrong, Christine admits she “ignored it for a while,” not wanting to face what she feared it would be. However, soon she was back in to see Dr. Javer. When the fluid was tested this time, however, it was not cerebrospinal fluid. Rather, it was the result of an infection. This infection Christine experienced had been occurring in other patients, leading Dr. Javer to initiate a study to investigate its cause. When a cerebrospinal fluid leak occurs on the left side of the brain, then the left side of the sinus is cleaned out as a part of the surgery. Dr. Javer noticed, however, that leaving the other half of the sinus untouched seemed to be linked to patients developing infections, sometimes years later. As a result, Dr. Javer now cleans out both sides of the sinus—not just the side in proximity to the leak at the skull base—as a part of the initial surgery. In doing so, Dr. Javer is transforming and advancing the cerebrospinal fluid leak repair procedure. Dr. Javer’s groundbreaking studies are underway and friends of St. Paul’s are encouraged to lend their support. His latest, the UniCASS vs. BiCASS Study, looks at the need for carrying a bilateral CASS after having conducted a unilateral one. Dr. Amin Javer is an example of how physicians at St. Paul’s are changing their fields of medicine and improving outlooks for patients. Be a part of exciting work and care by making your gift today.